Founded in the Spring of 2010, and reincorporated as a 501c3 not-for-profit organization in 2012, Learners Chess Academy is an Albuquerque-area educational program with the mission to enhance child development by using the game of chess to promote and stimulate intellectual maturity, social skills, and leadership development. Our vision is a New Mexico where all kids have the opportunity to grow through learning the game of chess. Currently we teach before and after school chess clubs during the school year and chess camps during winter, spring, and summer breaks. We also run chess tournaments once every month or two. Our coaches are educators, activists, farmers, chess education enthusiasts, parents, students, and leaders. We recruit instructors who are passionate about the ways that chess improves kids’ classroom performance and social development. Coach Victor founded Learners Chess Academy in 2010 as a summer job/ side project. It has since grown into a large and beloved non-profit organization in our Central NM community. Victor currently serves on the Board of Directors, as the Executive Director, and he regularly coaches in camps and after school programs. Coach Victor is currently a class B rated chess player. 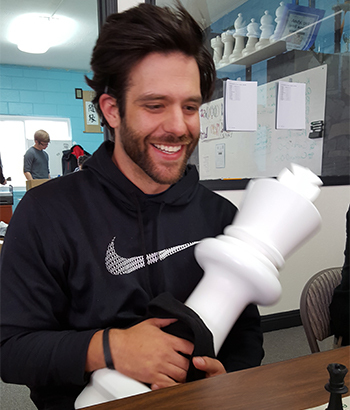 Having taught chess since he was 12 years old, Victor has cultivated a passion for teaching and coaching chess, mindfulness, reasoning, life, success, and leadership skills while working with kids and young adults. Starting in 1998, with the help of his previous elementary school Principal, Nikki Dennis, and his mother, Antoinette Sedillo Lopez, he started the Bandelier Elementary School Chess Club (see below image). He was in 7th grade at the time. 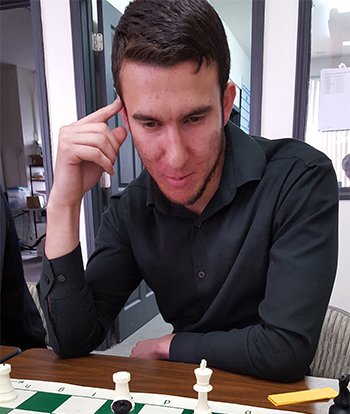 As he and his mom continued to lead the Bandelier Chess Club through high school, his Bandelier chess team won the AESCL Championship in 2002. After High School, he attended Occidental College in Los Angeles, California, where he co-founded the college chess club, played NCAA Division III college football and rugby, and graduated with degree in Urban and Environmental Policy in 2008. For the next two years Victor worked as a community organizer while working to increase civic engagement for underrepresented constituencies in Portland, Oregon, Iowa City, Iowa, and Gainesville, Florida. In November 2009, Victor returned to Albuquerque to pursue his MBA in social entrepreneurship and work on a start-up nonprofit that sought to reduce poverty by implementing a model of micro-lending to reduce energy consumption and costs for low income households. He also became a substitute teacher and started coaching the Monte Vista Chess Club. As he rediscovered his love for working with children and coaching chess, he started Learners Chess Academy as mainly a summer job. During his second summer of chess camps he decided to pursue Learners full time. 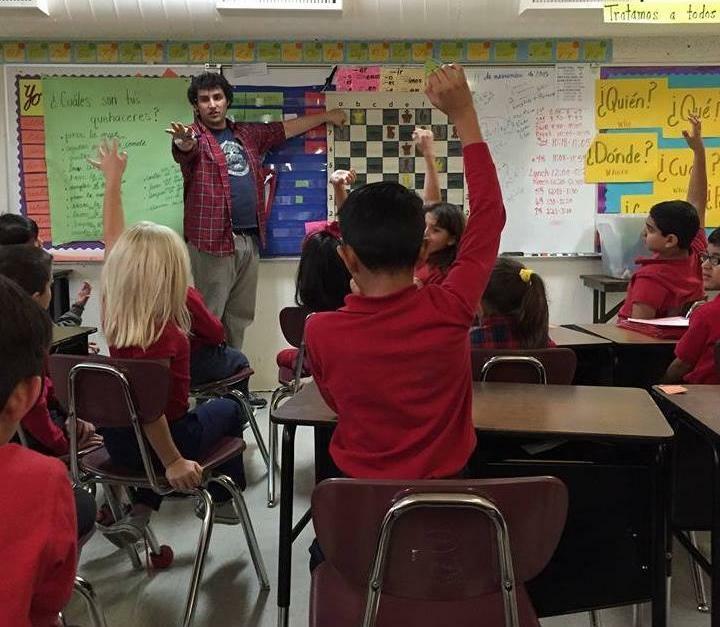 He has since built Learners into a successful non-profit organization committed to the mission to improve child literacy in New Mexico by spreading the learning of chess in ways that develop intellect, social skills, life skills, and leadership. Coach Victor has been recognized for his work with Learners as a Champion of Change by the White House in February of 2016 and by the Albuquerque Chamber of Commerce as a Spirit of New Mexico Award Recipient. These awards were among many other great recognitions that Victor and Learners Chess earned in 2016. Coach Kyle has been with Learners Chess since Spring of 2014. He is currently a Graduate student in Applied Mathematics at UNM and is tailoring his research towards the physical and mental benefits of mindfulness. He is a former Collegiate athlete and believes Chess and Mindfulness education is the most effective way to promote analytical thinking, while also cultivating creative problem solving and team cooperation. Coach Justin has been with Learners Chess since Fall of 2015. As a class-A player, Justin has competed in a range of open tournaments across the US. Outside of coaching for Learners, he works for Big Brothers and Big Sisters of New Mexico, where he has volunteered as a big brother for years.